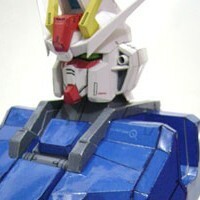 New update for Strike Gundam paper model kit has been arrived. Rino finally release the torso part. He has a note in its assembly instructions, other then glue you will need to use magnets to be place in some places on that gundam body in order to have pose-able limbs or an action figure robot. If you want a stationery statue all you need to do is just to glue all the joints. Beside assembly instructions Rino also include a pdo file inside the zip format. On a photo below you can see he made the pilot cockpit hatch door can be open and close by using pair of magnets inside. This week Paper Replika made a poll about what the next Gundam paper model kit after Sinanju's accessories is released. The poll is still open now in Facebook page. 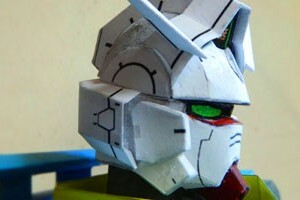 Today I received an email from Rino Liha, my fellow PERI member, he send me his first gundam paper craft templates that is made for public, a head of Strike Gundam GAT-X10, a 1/60 Perfect Grade, papercraft version. Rino is known to our papercraft community here as a skilled papermodeller especially in scratch build papermodel (without templates), now he wants to share his templates design with us. Papermodel is his hobby and passion, he work as a dentist, one of two PERI member that are doctors in profession. And we called him "Dokter Badak" or "Rino (Rhinoceros) the Doctor" :p . His previous shared papercraft is "Doraemon Anywhere Door Papercraft"
The latest new Gundam paper craft hosted in Paper Replika, Gundam AGE-1 Normal. 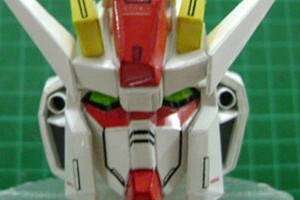 This Gundam model kit template is designed by Wanda Bachtiansyah. As usual he will release it part by part, he actually has made complete the torso part but for the first time he made for public this head templates first. Not like Sinanju, AGE-1 Normal Gundam is ink-friendly because almost of its parts are colored in white. 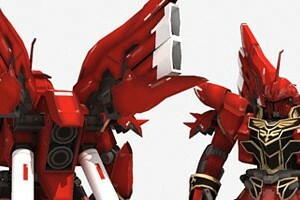 This release is the last part of the sinanju gundam papercraft model kit. 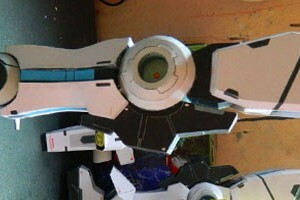 The next part is the accessories, its cannon and shield. There is something new in the instructions, I use a wiggle stereoscopy in each drawing instruction. I hope by sensing the depth on each parts it will become easier to assembly, but I still need feedback on this new feature. Click on the instruction images to open the stereoscopy images.